We were discussing various basic concepts of thermodynamics such as work and heat transfer in our previous post. We have also discussed the concept of microscopic and macroscopic approach in thermodynamics in our recent post. 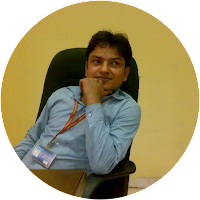 Today we will see here the first law of thermodynamics for closed system undergoing a cycle with the help of this post. As we have already discussed that first law of thermodynamics deals with the law of conservation of energy and according to law of conservation of energy, energy can’t be created or destroyed but also it could be converted from one form of energy to another form of energy. Hence, this is the basic concept of first law of thermodynamics. Now we will see here the first law of thermodynamics for a closed system undergoing a cycle. After that, in our next post, we will see first law of thermodynamics for an open system or control volume. 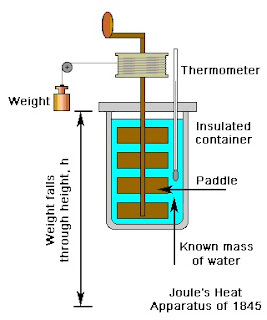 Let us see the following figure, there is one vessel which is one adiabatic vessel i.e. there will not be any heat interaction between system and surrounding. Let vessel is contained with some quantity of water and vessel is equipped with thermometer for measuring the temperature and paddle wheel too in order to provide the work energy to the system by the surrounding. Let work energy W is done upon the system by the surrounding and this work energy, which is done by the surrounding upon the system, could be easily determined by the fall of weight as fall of weight will drive the paddle wheel with the help of pulley as displayed in above figure. Let the initial temperature of the system is T1 and when work energy will be provided to the system i.e. 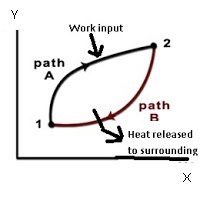 water here by the surrounding by fall of weight mechanism then supplied work energy will be converted in to thermal energy and hence temperature of the system will be increased and therefore let the temperature will be changed to T2 and this process is displayed here by path A as shown in following figure. Let us consider that insulation is removed now and there could be now heat interaction between system and surrounding. Let us consider that system is returning back to state 1 to secure the initial temperature by releasing the heat energy Q to the surrounding via the path B as shown in figure. Therefore this is one cyclic process where system has come to its original position and system has secured the work energy from surrounding during path A and system has released the heat energy to the surrounding during the path B. According to Joule, work transferred to the system from surrounding will always be directionally proportional to the heat energy delivered by the system to surrounding or we can say that Here, J will be termed as constant of proportionality and it is termed as mechanical equivalence of heat. So what we will say for first law of thermodynamics for a closed system undergoing in a cycle? 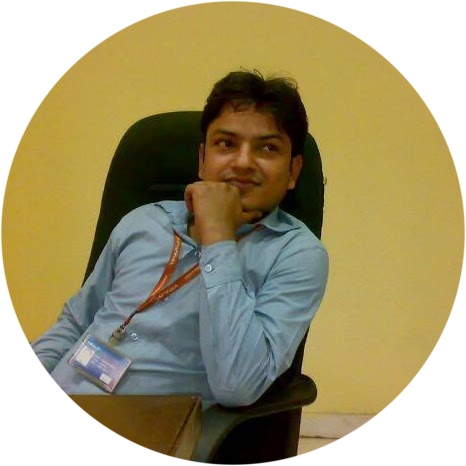 When a closed system follows thermodynamic cycle, net work done upon the system by the surrounding will be equal to net heat energy released by system to surrounding. We will see the Carnot cycle and “Firstlaw of thermodynamics for a closed system undergoing a change of state”in our upcoming posts.